Top 3 ways to use Adventure Passport to support your business! The busy vacation season is here and we know our local businesses are getting prepared for the summer rush, on top of a million other things! With Adventure Passport having launched in May – we’re doing the same! The Adventure Passport is a County wide scavenger hunt, 2018 is the 14th year of this program and we’ve brought in a few changes, including digital stops and monthly prizes. 1. Talk to Adventurers –we regularly see chalkboards in front of storefronts and over the years we’ve seen a few businesses address Passport players directly using their signs. Could be something simple like, ‘Hey Adventurer! Parched from all the Passport punching? We’ve got plenty of options to quench that thirst!’ so get creative and call adventurers to action. 2. Promotions – with thousands of participants passing your business, why not incentivize players to stop? Something simple like ‘Bruce County’s own water, free with your Adventure Passport’ or offering a discount could entice them to come into your store. 3. Get Social – if you see people in town, or in your shop, and they have the Passport in hand or are talking about it, strike up a conversation. Ask them if they are okay with their photo being taken and get a story from their favourite Passport stop. Some of the most popular Adventure Passport social media posts are from local business owners taking pictures of the people participating. If you post it and tag us in it, chances are good that we’ll share! Tagging and Hashtags – some of you may have a quizzical look on your face, but it’s not as hard as you may think! 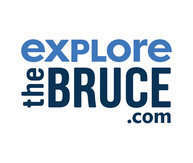 Tags use the @ symbol and hashtags use #, using @explorethebruce will alert us that someone has posted and tagged our page, whereas using #explorethebruce will add the post to a collection of posts and photos that use this hashtag. Post your own Adventures – people love reading about other people exploring, it makes them think about what they can see and do when they are in the area. By doing the Adventure Passport yourself and tagging the local businesses/town/Explore the Bruce, you’ll help to increase the reach and sharability.